Ooh la la! The Bistro du Vin, Winchester serves up très bon French fare in a relaxed Anglo-Gallic ambience. 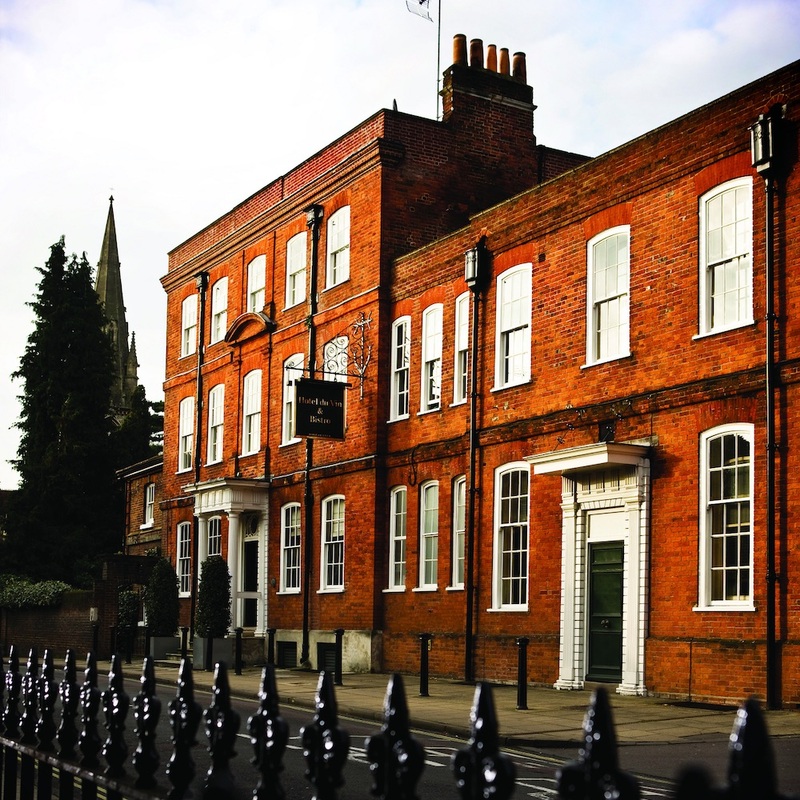 Hotel du Vin first opened its doors in Winchester back in 1994. And, since that initial success almost 25 years ago, the glamorous boutique hotel has gone on to open an additional 18 spots across the country. The original in Winchester has 24 sumptuous rooms and suites that reside in this rather pretty Grade II listed Georgian dwelling. And its also home to the Bistro and bar – both of which are open to the general public. Each a standalone spot in its own right, customers are treated to expert wine knowledge from its own in-house sommelier, an extensive wine cellar fit for its Vin name, and a mixologist with an encyclopedic knowledge of cocktails. With its reclaimed wooden floorboards and muted heritage colours on the walls, the decor of the Bistro really stays true to the building’s origins, while also adding in a dash of Frenchness. I was expecting the place to feel slightly formal, but in fact, it actually had a wonderfully chilled out and cosy atmosphere. For a Saturday evening, it was busy but relaxed. Diners were able to take their time and sit for numerous hours chatting, sharing candlelit dinners and enjoying wine – very much in the French style. We were here for a number of hours and many of our dining companions who were sat before we arrived, were still there as we left. The food here is really excellent. 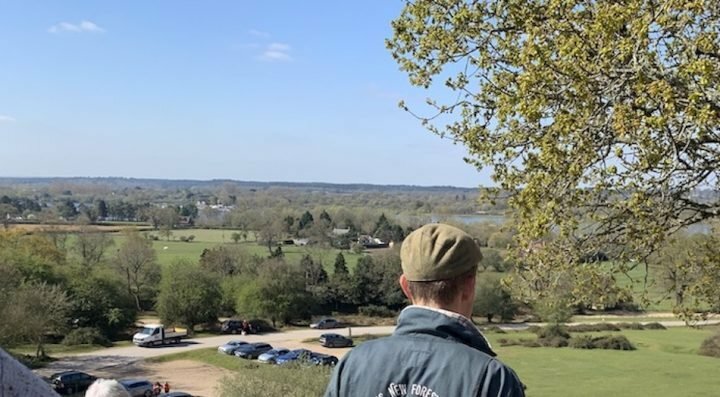 As well as a broad à la carte menu that borrows heavily from French cuisine (think Cassoulet and Chateaubriand for two), there’s also the newly launched Prix Fixe menu that merges that continental flair with excellent Hampshire produce. 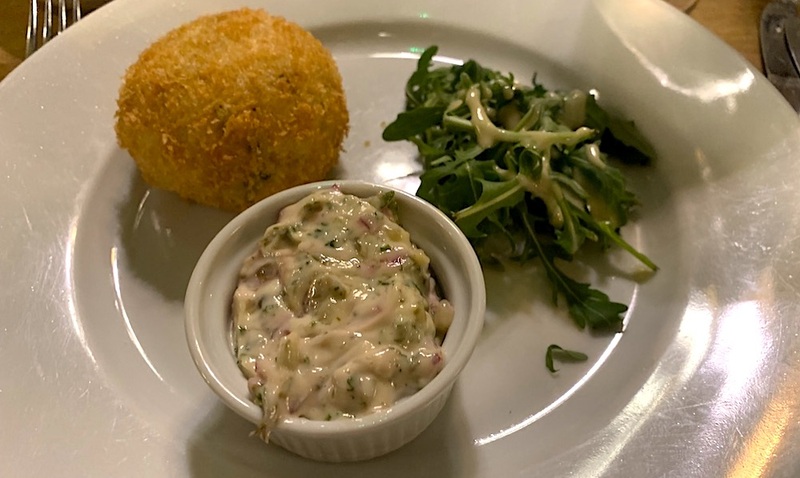 To start I opted for a salmon, smoked haddock and Winchester cheese fishcake (see above), complete with dressed rocket salad and homemade tartare – the simple dish came out beautifully presented and despite the traditional stodginess associated with fishcakes, this was buttery and light. The tartare sauce, in particular, was a far cry from what you would expect and accentuated the dish perfectly. 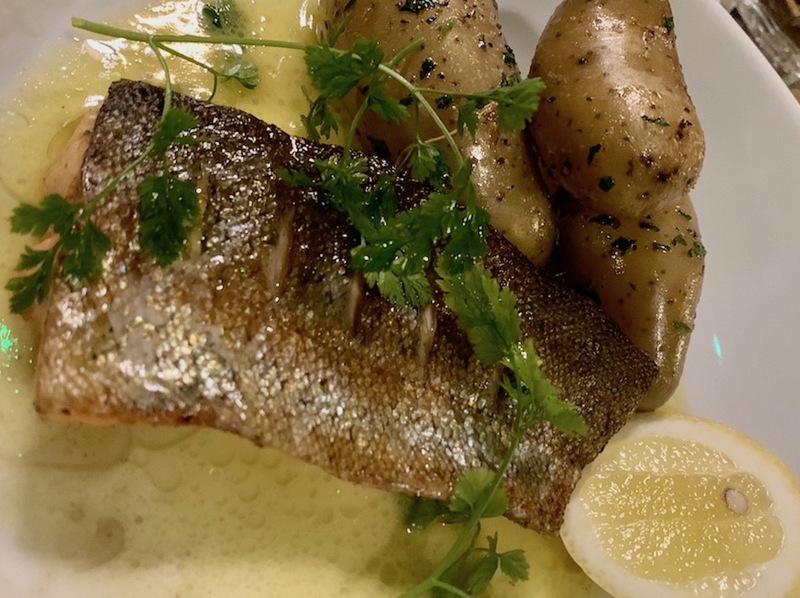 For my main, I opted for pan-fried Winterbourne trout (photo above), complete with cider beurre blanc and Ratte potatoes. The trout was cooked to perfection – the skin crisp and the meat flakey and juicy. I seriously think trout is a super underrated fish and was pleased to see it on the menu. 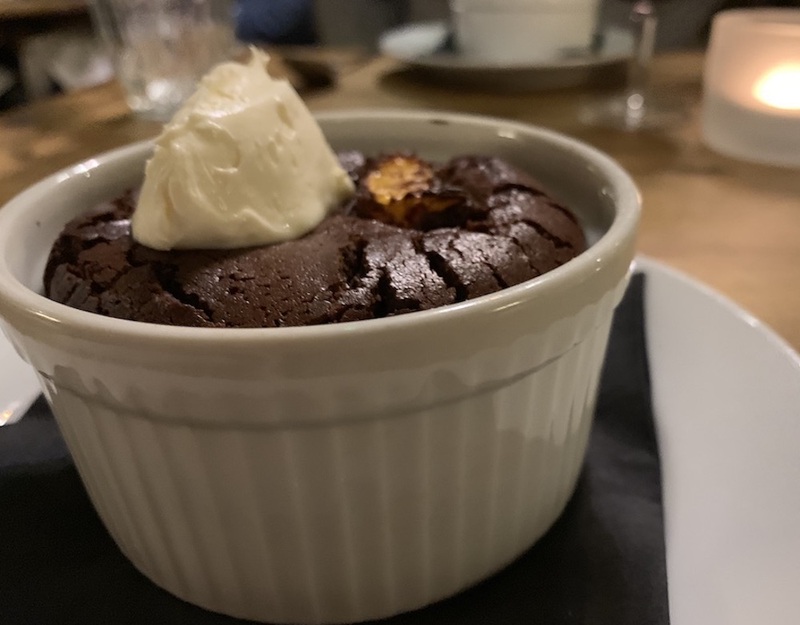 To follow, I ordered the warm chocolate and orange mousse (photo above) that came laced with Winchester Distillery gin. It was absolutely huge, and following such a rich meal I have to admit I couldn’t finish it all. The texture was similar to that of a soufflé, but without the rise that is usually associated with it. Super rich and very decadent, it pretty much epitomised the whole eating experience. Finally, it wouldn’t be Hotel du Vin without the vin, and guided by the expert knowledge of the hotel’s in-house sommelier, I was able to try a different wine matched for each course. I tend to be a bit ‘safe’ when it comes to wine, but I was guided to try things I would never have ordered such as a Ramón Bilbao, a Vintner’s Reserve Chardonnay and ending the meal on a rather unusual, Uruguayan Alcyone Tannat dessert wine. With the Bistro open for both lunch and dinner, this is the ideal starting point to head out and discover a bit of Winchester. 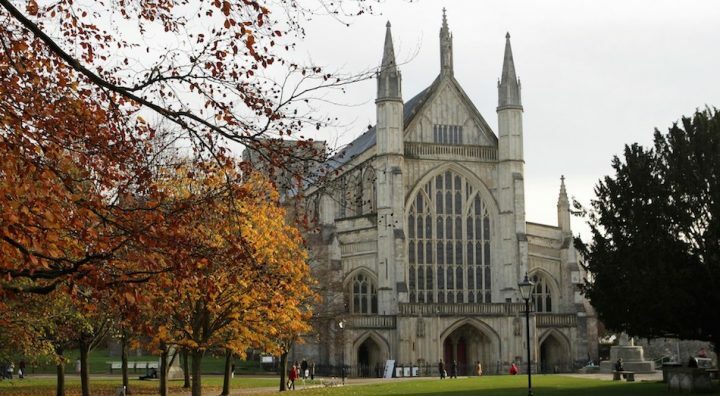 The hotel is just stone’s throw away from cultural spots such as Winchester’s famous cathedral, The Great Hall complete with King Arthur’s ‘Round Table’ as well as many, many museums. 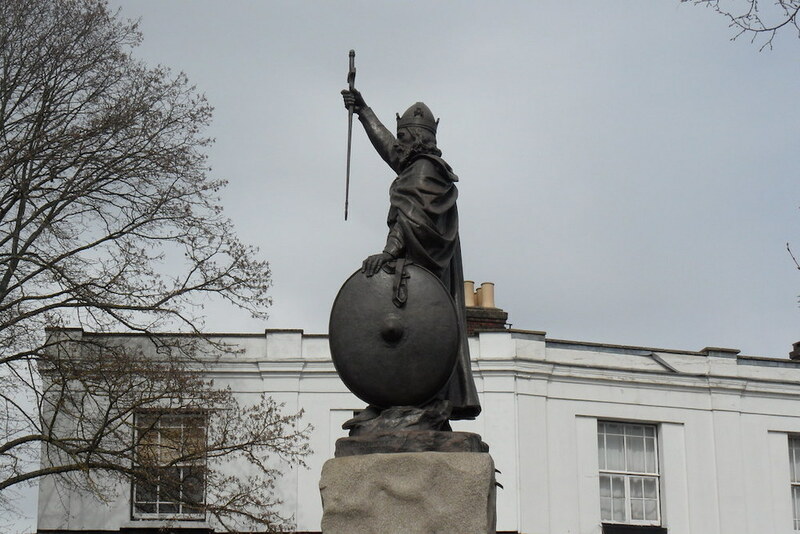 Winchester also has a number of markets that run each week, with a food market (Wednesdays), an antiques and vintage market (first Sunday each month) and an art and design market (third Sunday each month). GOOD FOR: Romantic candlelit dinners and catch-ups with old friends. The food here is to be savoured, not rushed. If you’re terrified of wine lists, the unfussy and super friendly sommelier will guide you through and open you up to a whole world of new flavours and experiences. 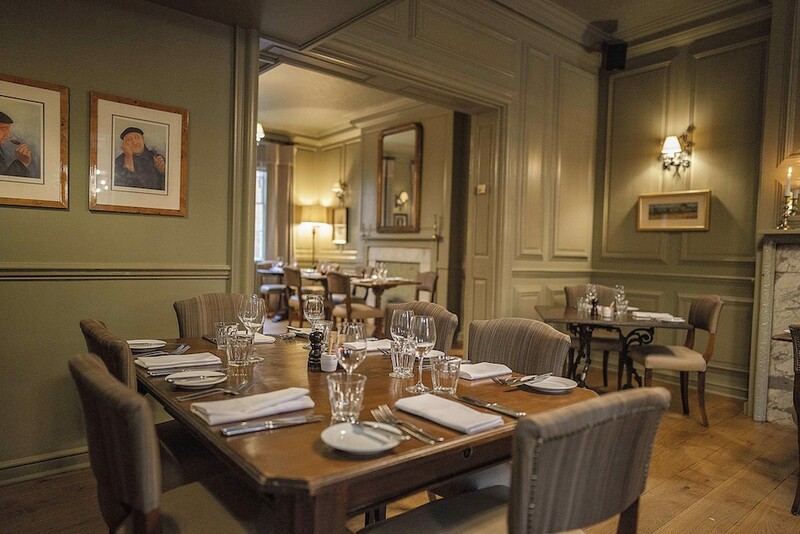 There’s also private dining available for those really special evenings. NOT FOR: Young families and those looking for a quick bite. This is very much a grown-up restaurant and its easy to while away an entire evening in the blink of an eye. THE DAMAGE: Really quite excellent value and less than you would expect. The prix fixe comes in at just £19.95 for two courses and £24.95 for three. If you want to push the boat out a little more, then the à la carte entrées average around £10, mains between £12-£25, and dessert at about £6. A glass of wine starts at £5.95, and you have a huge selection to choose from. Fancy something different? Find more great local restaurants in our FUN FINDER.